Three Canadian judges, including the Chief Justice of Nova Scotia, will travel to Ukraine at the end of October as part of a national effort to advance democracy and the rule of law in the politically troubled eastern European country. 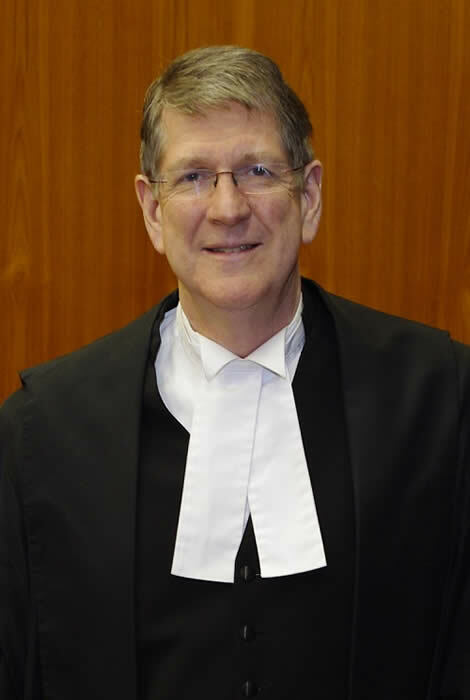 Chief Justice Michael MacDonald of the Nova Scotia Court of Appeal, Justice Mary Moreau of the Court of Queen’s Bench in Alberta, and Justice Denis Jacques of the Superior Court of Quebec are part of a team that will help develop practical work plans to rebuild confidence and trust in Ukraine’s judicial institutions. Ukraine is a sovereign state in Eastern Europe that gained its independence 25 years ago, in 1991. The country has struggled with the rule of law ever since and its judiciary has been plagued by politicial interference and allegations of corruption. This is not the first visit to Ukraine. Preliminary meetings this spring enabled Canadian officials to start developing relationships and possible solutions for rebuilding public confidence, a necessary foundation for improvement in the years to come. On this trip, the three judges will be joined by University of Toronto professor Peter Solomon, Oleg Shakov, Director of International Programs for the Office of the Commissioner for Federal Judicial Affairs Canada, Jennifer Stairs, Director of Communications for the Executive Office of the Nova Scotia Judiciary, and Mykhailo Buromensky, a Ukrainian law professor, member of the Constitutional Commission and president of the Institute of Applied Humanitarian Research. While those initial meetings laid out the importance of judicial independence, conduct and accountability, this trip will focus primarily on how communication with the public, the Bar, civil society and journalists can help reform the justice system. The group will split its time between Odessa and Ivano-Frankivsk, regions in southern and western Ukraine, respectively. The regional courts in these areas will serve as pilot projects that, if successful, will demonstrate to other regions that the Ukrainian courts can be effective and credible mechanisms for achieving justice. The four-year Support to Judicial Reform Mission is a joint project of the Office of the Commissioner for Federal Judicial Affairs Canada and the National Judicial Institute, both based in Ottawa, with funding from Global Affairs Canada. Saturday, Nov. 5 - 8:32 a.m.
Wednesday, Nov. 2 - 11:08 p.m.
Tuesday, Nov. 1 - 10:31 p.m.
Monday, Oct. 31 - 10:37 p.m.
Sunday, Oct. 30 - 9:44 p.m.